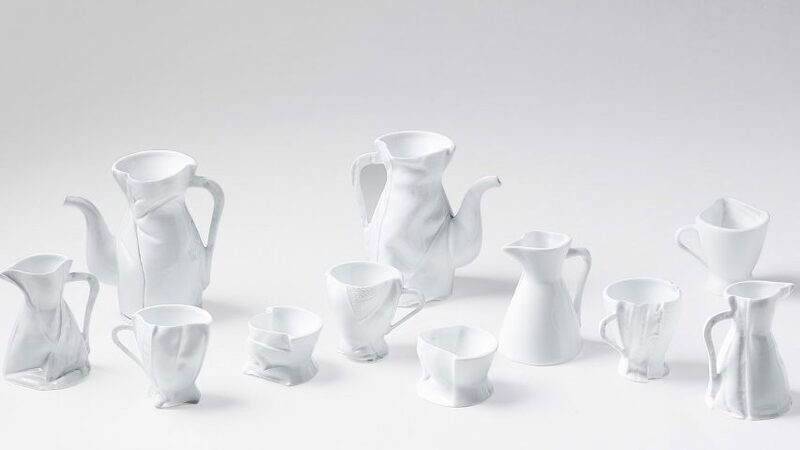 Royal college of Art graduate Zhekai Zhang has used fabric moulds to create this partially collapsed ceramic tea set. 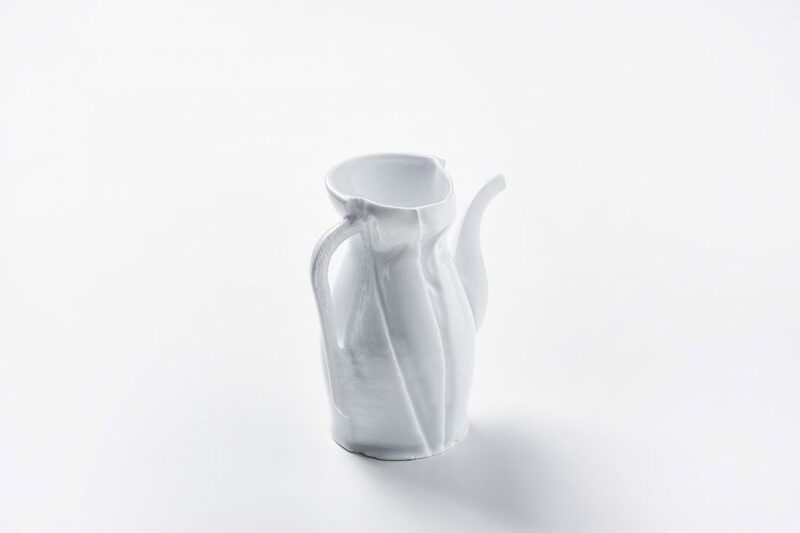 Called Fabric Formula , the collection features a series of white glazed teapots, jugs and cups, which appear smmoth on one side and scrunched on the other. ” By casting with the fabric, the user eliminates the inherent impression of the consistency of the shape of objects produced by a mould and feels a visual and tactile illusion brought by the technical sense of the fabric itself in mass prouduce products, ” he continued. The designer began by inserting a piece of fabric into a mould for casting so that when the slip was poured into it, the liquid would attache to the inner wall to form an uneven surface. 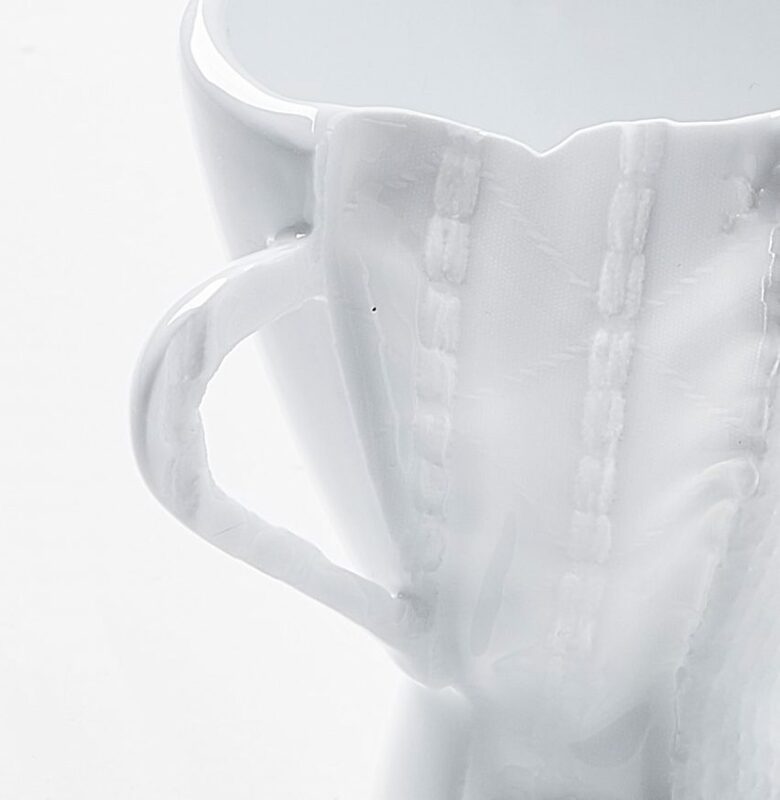 Due to the unpredictability of the fabric folds, each ceramic is unique. Zang wanted to create a method of making imperfect ceramics that appear handmade using method of mass production.